Abu Dhabi: The UAE has rebuffed Qatar’s allegations that there are safety issues with its Barakah nuclear power plant. "The UAE is committed to the highest standards of nuclear safety, security and non-proliferation," Ambassador Hamad Al Kaabi, UAE Permanent Representative to the International Atomic Energy Agency (IAEA), said. The UAE’s nuclear programme adheres to IAEA’s safety standards and the best international standards. “Barakah uses the third generation of the advanced nuclear power reactors, and is composed of four modern Korean designed units enjoying high safety standards,” Al Kaabi said. 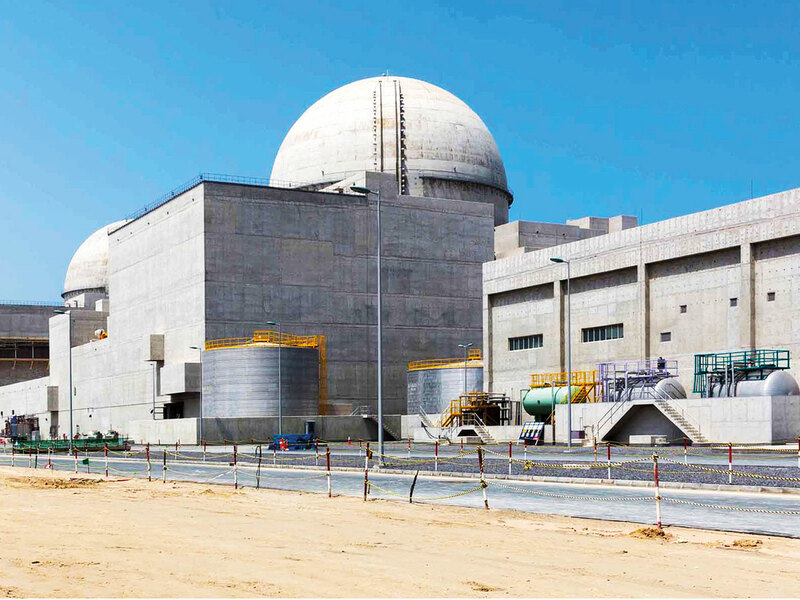 The $24.4b Barakah Nuclear Power Plant is located in the Al Dhafra Region of the emirate Abu Dhabi, approximately 53 km west-southwest of the city of Ruwais. The Plant's four APR1400 design nuclear reactors will supply up to 25 per cent of the UAE's electricity needs once fully operational. He added that the UAE hosted more than 10 international missions covering different areas, including the nuclear infrastructure as well as the regulatory and legal framework, nuclear safety, security and emergency preparedness, non-proliferation. The reports issued by these missions are available online. “These international missions emphasise the UAE’s commitment towards implementing the international recommendations to ensure that its nuclear programme is safe, secure and peaceful, and the UAE is committed to the highest standards of transparency. The nuclear power plant is now more than 91 per cent completed, and is expected to become operational by 2020. “The UAE is a signatory to international nuclear safety conventions since 2019, which reflect its national commitment to ensuring the security and safety of its nuclear programme,” Al Kaabi said. The safety and security of the Barakah plant is monitored and supervised by the Federal Authority for Nuclear Regulation (FANR), which is an independent body. “The UAE believes that there are no reasons for worry about regarding the nuclear power plant and encourages countries interested in its nuclear programme to use the appropriate channels to provide them information concerning nuclear safety and answer all questions,” Al Kaabi said.